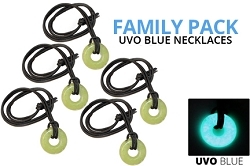 Our U.V.O. necklace is made from phosphorus glow crystals. 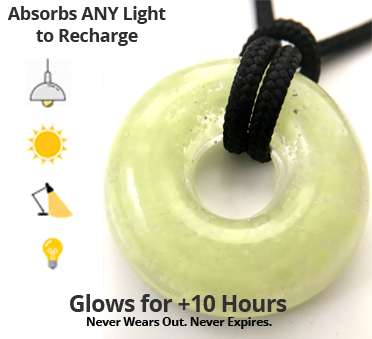 These unique crystals absorb ANY light to charge, glow-in-the-dark all night long (+10 hours) and last forever. 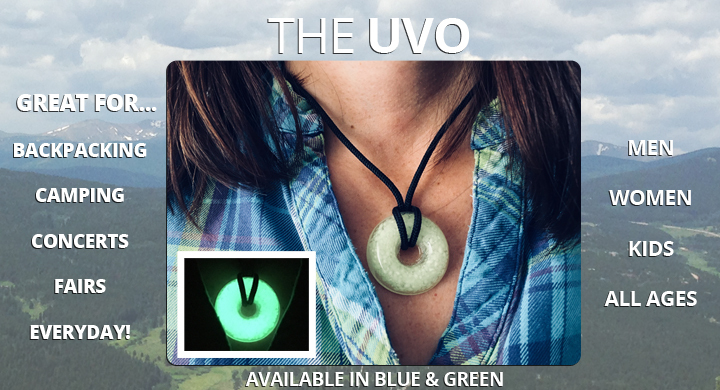 The crystals are molded into the "O" shape using a waterproof non-yellowing resin; making our UVO necklace extremely durable and ready to wear for any occasion.They are great to wear when you go camping, backpacking, to concerts, to fairs, and every day! 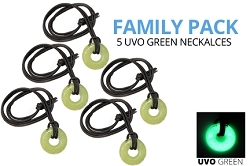 It recharges while it's around your neck in daylight or ambient room light. To Learn More...Click on Product Images.